Ребят, я не являюсь разработчиком данной игры, я всего лишь опубликовал в Магазине ПЛАТНУЮ игру БЕСПЛАТНО. 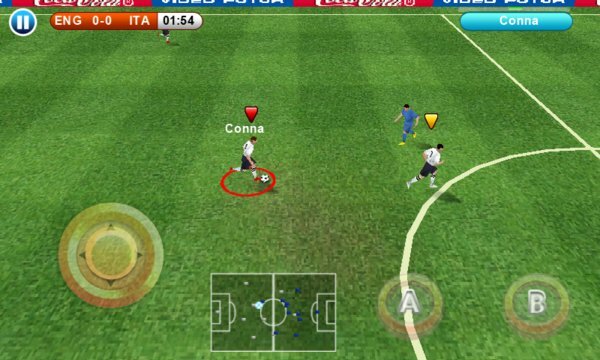 Get ready for a soccer season and battle for the cup with Real Soccer, the benchmark for mobile soccer games. Choose from 245 teams in 8 leagues with nearly every player thanks to the FIFPro license. Face off in 14 stadiums detailed in 3D as you perform amazing moves with a simple and intuitive touch of the screen.